There’s some parts of your everyday life that you just know that the right technology could do better, and Google’s new Mobile Wallet looks to be a real game changer. A loyalty card? How quaint! We predict that the notion of carrying around a wallet full of credit cards, loyalty cards, Oyster cards, bank cards and the like will soon seem ridiculously quaint, as the convenience of the innovative NFC technology takes hold. Google’s Wallet payment service will soon allow US shoppers to use their phones to do a lot more things: like search for nearby restaurants, locate stores offering deals and coupons and then pay for the snack by touching their phones against the shop’s reader. 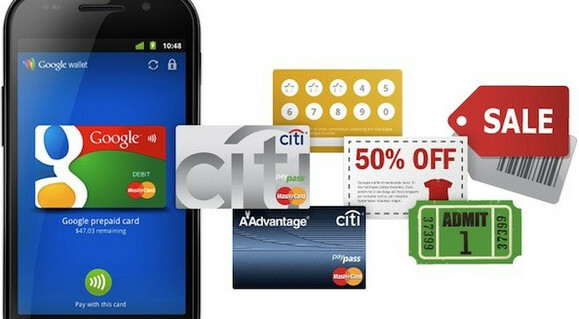 Powered by MasterCard’s “PayPass” technology, the service lets users top up their Google Wallet accounts via Citi MasterCard or Google Prepaid, with the company claiming that Google Wallet’s security features go beyond what’s possible with traditional wallets and cards. For now the app will only work on Android phones (the Sprint Nexus 4G is currently the only compatible phone but there’s loads of NFC-enabled phones coming up). There’s no news about iOS integration. We’ll see. Remember the ‘paperless office’?